Aspirants who are looking for the AIIMS Bhubaneswar Post-Doctoral Fellowship Vacancy 2018 are at the right place. Here, in this post, we are going to describe all the elaborated information related to the vacancy in the lower sections of this post. The All India Institute of Medical Sciences Bhubaneswar has released the official advertisement for the AIIMS Bhubaneswar Recruitment 2018. Interested aspirants can apply for the vacancy on the official website of the All India Institute of Medical Sciences Bhubaneswar department i.e. www.aiimsbhubaneswar.nic.in. For the latest updates, you can check our careerjobs360 web portal and get all the latest updates from here. AIIMS-All India Institute of Medical Sciences Bhubaneswar has released the official advertisement for the AIIMS Bhubaneswar Vacancy 2018 for recruiting eligible and skilled contenders in the department for 174 numbers of posts of Senior Resident And Post-Doctoral Fellowship posts. The AIIMS Department is looking for the talented & deserving hard working aspirants for the vacant posts. The applicants can apply online for this recruitment by submitting the AIIMS Bhubaneswar Senior Resident Application Form 2018 through the online mode ad attend the personal interview on 11th & 12th October 2018. Moreover details related to the vacancy such as eligibility criteria, academic qualification, age limit, age relaxation, application fees, selection process &all other information is given below in the post. The contenders must go through this information before applying online for the vacancy. For Senior Resident Post: Postgraduate Medical degree viz. MD/DM/MDS in their respective disciplines authorized by MCI /Institute of National Importance. & completing the above courses by 30th Sept. 2018 are eligible to apply. They have to produce the pass certificate from the Institute at the time of personal Interview. For the Dept of Dentistry, Aspirants having ORAL MAXILLOFACIAL Surgery & ENDODONTICS will be given preference. For Junior Resident Post: MBBS/BDS from Institution recognized by MCI. The aspirant must have completed a mandatory internship & must produce an internship completion certificate & registration under any state MCI/DCI. Those aspirants who have passed MBBS/BDS (including Internship) not earlier than two years before the commencing date of Jr. Residency (Non-Academic). For more details, aspirants must check the official advertisement of the vacancy. Age Limit: The maximum age limit for the aspirants is 37 years of age. Age Relaxation: Upper age relaxation will be applicable for the reserved category as per the government rules and regulations of the government. Selection Procedure: The aspirants will be selected on the basis of their performance in the Personal Interview round which is going to be organized by All India Institute of Medical Science Bhubaneswar. Salary Scale: The finally selected contenders will get a great amount of salary scale of Rs.66,000/- Grade Pay and NPA as per the 7th CPC for both Junior & Senior Resident posts. How to Apply for the AIIMS Bhubaneswar Recruitment 2018? After that, go to Career option and find out the AIIMS Bhubaneswar Post-Doctoral Fellowship Recruitment 2018 Notification link on the homepage. After that, Candidates must read the official notification very carefully for eligibility criteria before applying for the given vacancy. After that, candidates may fill all the asked detailed information in the application form without making any mistake. Then, Upload recently passport size photograph and signature on the application form. At the end, take a printout copy of the application form and keep it safe for future use. 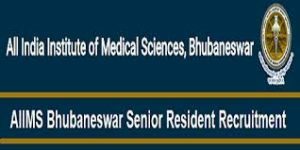 In this article, we mentioned all the details related to AIIMS Bhubaneswar Senior Resident Recruitment 2018 in the above discussion of the Post. All the interested aspirants must read this post and apply for this recruitment. For more information, applicants can check our official portal regularly & stay in touch with us. If any of the aspirants facing any kind of problem regarding AIIMS Bhubaneswar Jobs 2018 then they may comment in the below query box then we will help them as soon as possible.